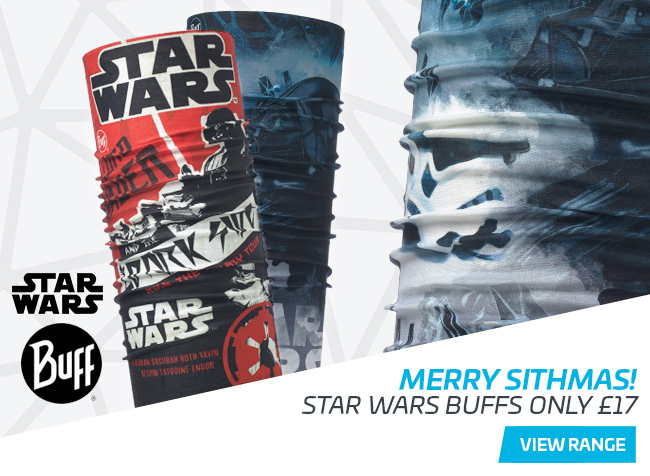 Why not celebrate the release of Star Wars: The Last Jedi with our best-selling Star Wars Buffs which can be worn as a neckerchief, headband, hair-band, scarf, pirate cap, beanie and bandana - pretty much anything! The innovative design keeps you warm in the cold, but also keeps sweat away from your skin to keep you cool when it's hot. These products are also included in our 3 For 2 on Stocking Fillers and 3 for 2 on Winter Accessories so you can save whilst you spend! Hurry, these 3 for 2 promotions end soon!